As It Was: Etta Soulé Grows Up in Little Shasta Valley, Calif.
Esther “Etta” Soulé was born in a log house in the Little Shasta Valley in Siskiyou County, Calif. She and several other Soulé children grew up in the area and were educated at a rough-board, box-shaped schoolhouse built in 1860. As It Was: Woman Becomes Fire Chief in Butte Falls, Ore. In 1963, lightning struck the house of Charles and Ruth Capello in the small logging town of Butte Falls, Ore., burning it to the ground. The community’s old fire truck had a dead battery and the Forest Service was not prepared to fight a house fire. Born in 1894, Alfred F. Ross, Jr. was the third generation of his family to call Shasta County, Calif., home. He was the son of Albert and Lizzie Greer Ross. 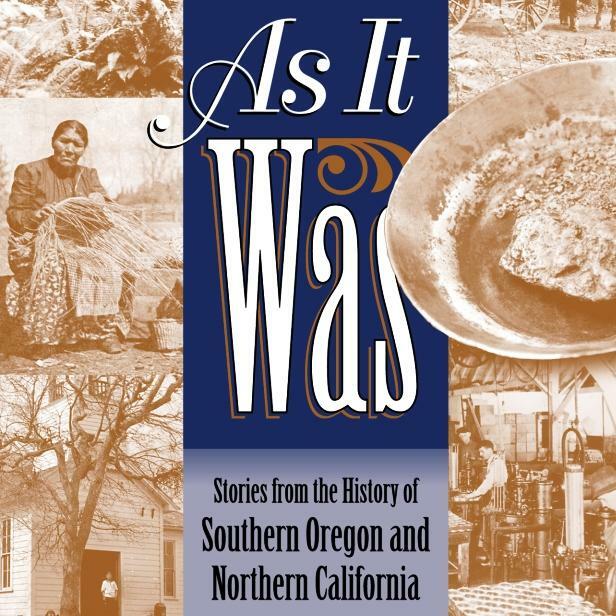 As It Was: Adella Weaver Relates Early Life in Yreka, Calif.
Adella V. Weaver spent her childhood in Yreka, Calif., where her father mined. In a memoir, she shared some interesting episodes, noting that she and other children had the freedom to roam at will. As It Was: Bulldozer Uncovers Mazama Tree in Chemult, Ore. Since 1993, the Klamath County Museum in Klamath Falls, Ore., has displayed a 7,700-year-old relic of the Mount Mazama volcanic explosion that created the Crater Lake caldera. The ancient object is known as the Mazama Tree. The winter of 1889-90 was hard on man and beast in Trinity County, Calif. The snow was 17 feet deep at Denny. Deer perished by the hundreds and a local butcher, Jim Mullane, lost his entire beef herd. Not far from Ashland, Ore., there are two deep, dead-end holes in a Siskiyou mountain. How does a cook separated from his kitchen feed 40 hungry people while traveling in the mountains in a covered wagon train? The discovery and publicizing of Crater Lake came about in fits and starts in the mid-1800s, as stories of a great body of water emerged from a variety of sources. Samuel Handsaker quit school at the age of 11 and emigrated from England to Alton, Ill. He lacked a formal education, but was a gifted writer and observer. The one-room Rock Hill School on Old Hill Road southwest of Lebanon, Ore., has served as a school, church, and community center. Ten-year-old Pete Scott won $25,000 and a role in a TV commercial in August 1981. Born and abandoned in New Jersey, Pete had been adopted when he was young and moved with his family to Central Point, Ore.
Lorane, Ore, a Lane County community established in the early 1850’s by settlers seeking free land, was connected to Southern Oregon by the Applegate Trail which passed close to nearby Cottage Grove to the East.